Scriptures 365 has created a scripture-a-day advent calendar for December to help keep Christ in Christmas. Click the image above for a large version of the calendar. Follow Scriptures 365 on Facebook, Twitter, and Instagram for daily scripture memes. 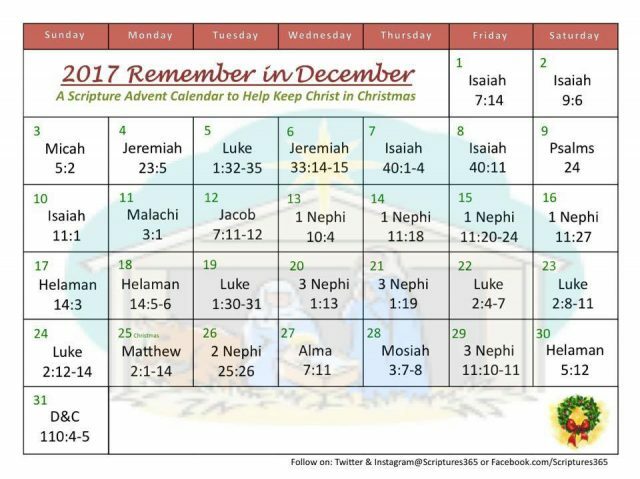 Create your own scripture meme from the calendar and use #RememberInDecember or tag Scriptures 365 to share or repost. Remember, He is the Reason for the Season!